The End Of An Era: Say Goodbye To 7th & 8th Period Events! 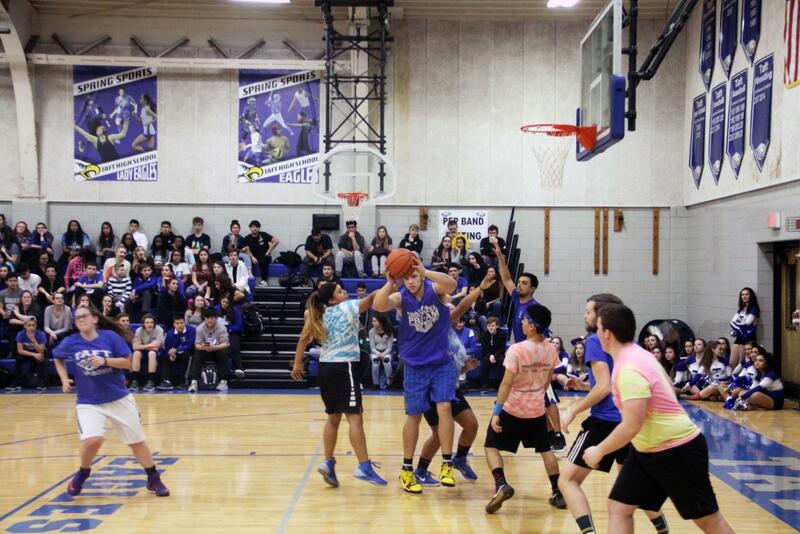 The Taft student Eagles take on the faculty during a Pink Out basketball game. Many drastic changes have been made at William Howard Taft High School this 2018-2019 school year, including 7th and 8th period events no longer being held in school but rather after school. Senior President of Student Government and National Honors Society, Sophia Nijem (Div. 928) has a big role in planning student events such as students vs. faculty basketball games and dodgeball games throughout the year. Nijem believes that big events such as these being held after dismissal is a disappointment to students. “Having these events out of school becomes an obstacle. These events do not have to be open to everyone. They can be open to the select few who are good students, eligible, and work hard,” said Nijem. Most students enjoy buying a ticket that supports a cause and having the ability to leave one or two class period to participate in a school activity every once in a while. Assistant Principal Patrick Levins, who is in charge of attendance within the school, believes that having events held during school hours will disrupt instructional time. “We value instructional time and teachers do not necessarily appreciate when kids are pulled out of their classrooms. If it is a good event, students will come to have fun. It does not matter if it is during school or after. It does not have to be during school to be successful,” said Levins. All in all, events would be more beneficial if held during class time to maintain school spirit and increase awareness with causes, such as breast cancer. Hosting events after school is unreasonable to student athletes, club members, and those who have prior engagements. School spirit is for everyone, not just those who have the time after school. 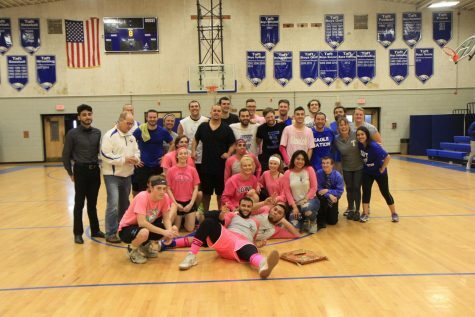 In hopes, hosting the Pink Out game after school will draw a bigger turn out for the JV and Varsity Boys Basketball game against the Fenwick Friars on Friday, Dec. 21, in the main gym.The boys on the teams will be unable to participate in the event but only to watch from the stands. Above is a picture of last years Pink Out Basketball team.